Looking for the best things to do in Las Vegas? We’ve got you covered! Las Vegas, Nevada is a resort desert city known for its neon lights, glamorous casinos and vibrant nightlife. Known as ‘Sin City’ thanks to the over-the-top indulgence, gambling, spending and wealth on show, Las Vegas is the perfect place to let loose for a short break or week long holiday. Whether you travel as a couple, family or with a group of friends the endless supply of things to do in Las Vegas will have you coming back for more. In this blog, our travel expert Linda shares her top tips! The first thing you will notice as you enter the city is the fabulous hotels. 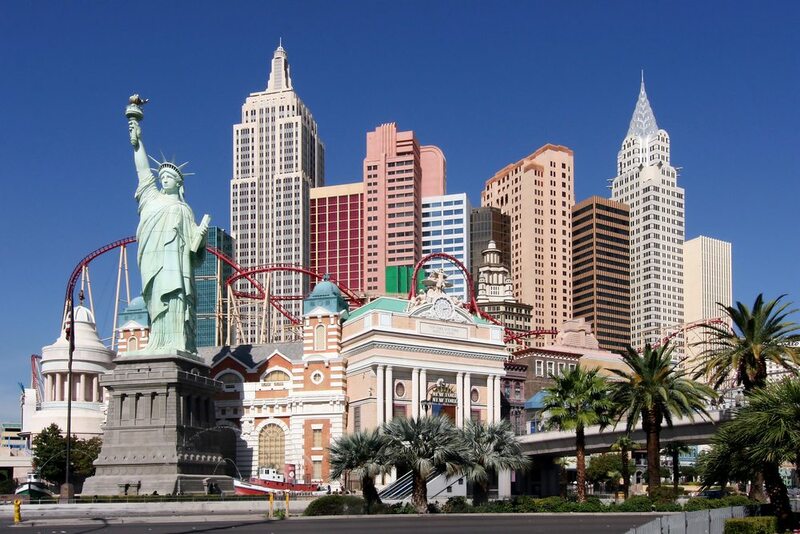 The famous boulevard strip is home to numerous themed hotels such as New York New York and The Venetian. There is no better introduction to the city than a walk down the strip and through the hotels (most of which are connected by walkways). See the incredible replicas of the Empire State Building, the Egyptian pyramids, the Eiffel tower and the famous statue of liberty. Step outside of the city and discover one of the seven natural wonders of the world. 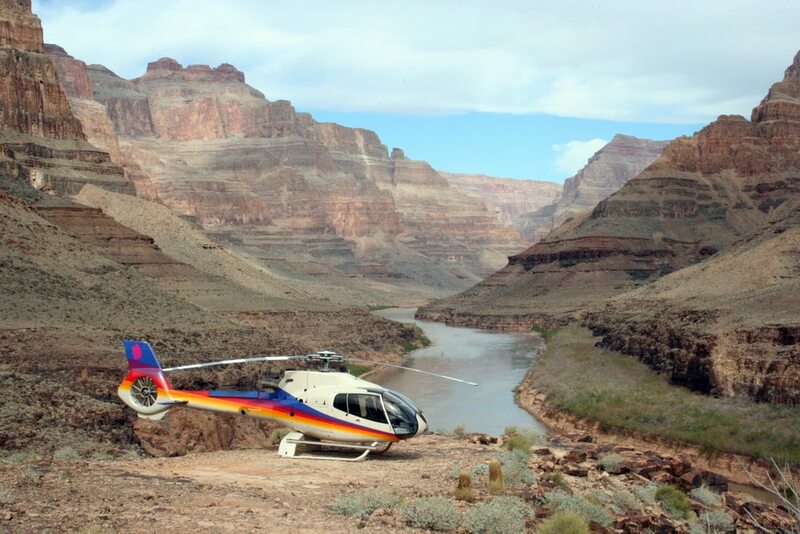 Las Vegas has several companies that provide excellent tours of the Grand Canyon. Travel in a comfortable air conditioned coach, walk along the rim of the canyon and gaze out for the most magnificent views you have ever seen. A helicopter tour is also a great opportunity for anyone who has limited time for sightseeing. The Grand Canyon should not be missed! If you are a bit of an adrenaline junkie, Las Vegas is the destination for you. Scattered throughout the city are some of the most exhilarating amusement rides in America. Experience immense drops, multiple loops and spectacular views on the big yellow roller coaster at New York New York. 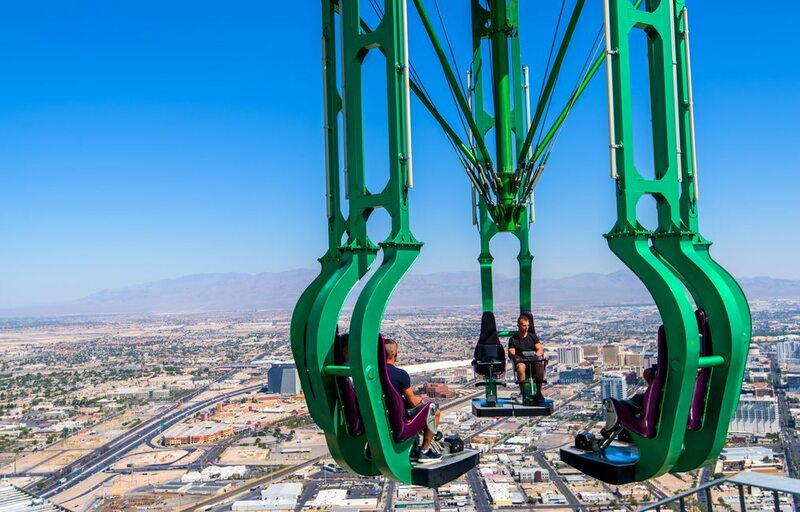 For those with no fear, a visit the rooftop of the Stratosphere Tower, that stands over 1,100 feet tall, is a must. The tower has many heart pounding rides, including the Big Shot, Insanity, X Scream, and SkyJump. 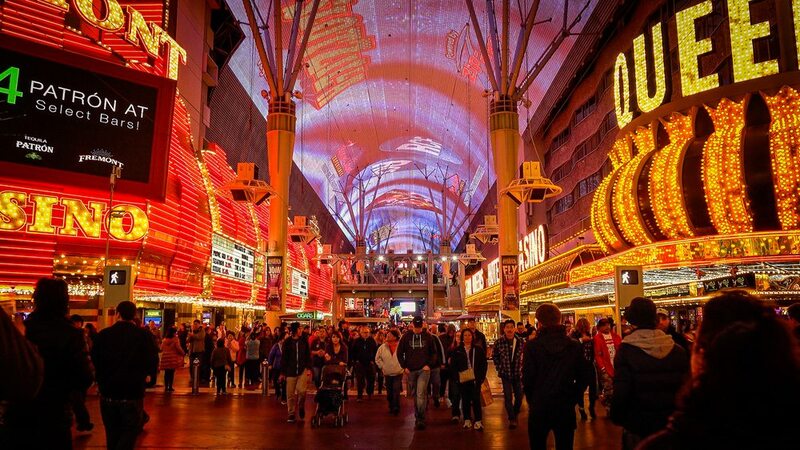 One of the city’s best kept secrets is Fremont Street, situated in downtown Las Vegas. Walk along the streets pedestrian promenade and feel the electric atmosphere created by the many street performers and live shows. Look up above and you will be treated to a colourful graphics show on the world’s largest LED screen. Feel the excitement of ‘SlotZilla’ and fly through the street on a zip line as you look down on the crowds below. For a break away from the busy street, visit a museum, like the Neon Museum, or have fun in an old-style casino such as the Golden Nugget. Las Vegas offers an endless list of shows with something to suit everyone. From musicals to magic shows, Broadway to Britney, you are spoilt for choice. Looking for a family friendly show? Catch one of the many Cirque du Soleil shows in Las Vegas. Each spectacular show offers the audience a magical and dramatic spectacle that everyone can enjoy. Want to dance the night away? Visit the high-end clubs, located in hotels such as MGM Grand and Aria, and see artists like Calvin Harris and Martin Garrix perform. 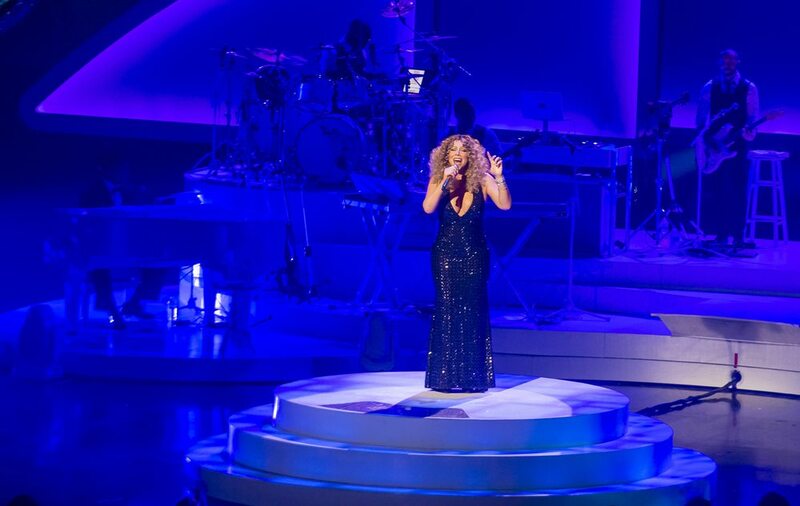 For the ultimate sing-a-long purchase tickets to see one of Las Vegas’ resident diva’s such as Jennifer Lopez, Celine Dion, Mariah Carey or Britney Spears. Thinking of taking a trip to Las Vegas? Contact us for more information and hear about our latest offers. Favourite Destination: New York, New York and I just love it! It is obviously a must see for any city lover and shopaholic. The best time to visit is around September as it is not too hot and stay just off Times Square if possible. An open top bus tour is the best way to see the city if you're a first timer and the main attractions are the Empire State Building, the 911 memorial and Brooklyn Bridge. A visit to Broadway is a must, of course, but there are also Helicopter rides around the statue of Liberty to enjoy.